An associate of Your Black Muslim Bakery who had been a fugitive from criminal charges in Alameda and Santa Clara counties has been arrested in Missouri and now awaits extradition. Ajuwon Fardjamaal Muhammad, 23, of Oakland, also known as Ajuwon Jones, was arrested Nov. 30 on suspicion of identity theft but has been held since then on a California arrest warrant, St. Louis Metropolitan Police spokesman Richard Wilkes said Thursday. Muhammad and two cohorts are charged in Alameda County with going on a car-buying spree using false IDs. Muhammad was arrested Jan. 26, 2006, after trying to open a bank account at Golden 1 Credit Union on Grand Avenue with a fake driver’s license in the name of “Kirk Summer;” employees spotted the bogus ID and summoned police, and Muhammad was unable to tell officers the date of birth on the card he had presented. He was charged with trying to file a false financial statement and possession of a forged driver’s license, both felonies. Then, in early June 2006, prosecutors filed new charges in that case against Muhammad as well as against bakery CEO Yusuf Bey IV, now 21, and Dyamen Namer Williams, now 21. All three were charged with two counts of car theft for using false IDs to buy cars from two Bay Area dealerships; a third car-theft count named only Muhammad and Williams, but not Bey IV. And later in June 2006, still more counts were added to the case: All three men were charged with another car-theft count, while Muhammad alone racked up another false-financial-statement count, another false-ID count and a grand theft count. Muhammad failed to appear for a May 23 court hearing and so a judge ordered his $20,000 bail bond forfeited, but the bail bond agency successfully argued the court had lost jurisdiction over the bond when prosecutors added new charges to the case without giving the bondsman a chance to better secure the bond against the new risk of flight. 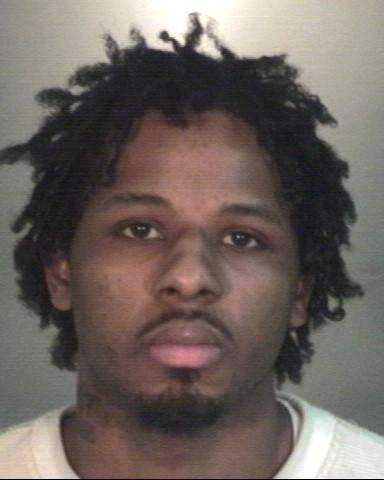 When Muhammad again failed to appear Aug. 27, a bench warrant was issued for his arrest with bail set at $50,000. It’s a warrant from that case on which he was arrested in St. Louis, San Jose Police Department spokesman Officer Jermaine Thomas confirmed Thursday. Thomas said he doesn’t know when Muhammad will be extradited to California. 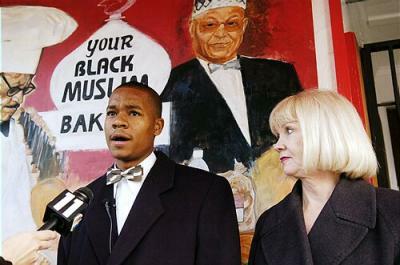 In other cases, Oakland Police officers cited Muhammad and Yusuf Bey V for battery in August 2006 after they were seen beating a man on the 1400 block of High Street, in an area where Your Black Muslim Bakery or one of its associated businesses had a security-guard contract. And Muhammad also is named as a suspect in an Alameda County District Attorney’s inspector’s report on a real-estate fraud investigation that has resulted in criminal charges against Bey IV and Tamon Oshun Halfin, 21; Muhammad hasn’t been charged with any crimes described in that report, however. Your Black Muslim Bakery, long an Oakland institution, now lies in bankrupt ruins. Bey IV and several other bakery associates are behind bars, facing kidnapping and torture charges for which they could receive sentences of life in prison if convicted. Oakland Police obtained a warrant to search Muhammad for a DNA sample, fingerprints and other evidence in connection with this case; that warrant’s current status was unclear late Thursday. And bakery handyman Devaughndre Broussard, 20, is accused of the Aug. 2 murder of Oakland Post editor Chauncey Bailey. Contact Oakland Tribune staff writer Josh Richman at jrichman@bayareanewsgroup.com or 510-208-6428.